Mint is a free online service that consumers can use to manage personal finances and track and pay bills in a single location. As part of optimizing its applications on AWS, the company migrated its MySQL instances from Amazon EC2 to Amazon RDS for MySQL. "Using Amazon RDS for MySQL, we no longer need to spend time and money tuning IOPS to get strong database performance. By being in the cloud, we don’t need to worry about hardware acquisition costs. Ultimately, we have reduced our costs by 25%." Airbnb is a community marketplace that allows property owners and travelers to connect with each other for the purpose of renting unique vacation spaces around the world. Airbnb moved its MySQL database to Amazon Relational Database Service (Amazon RDS) because it simplifies much of the time-consuming administrative tasks typically associated with databases. Amazon RDS allows difficult procedures, such as replication and scaling, to be completed with a basic API call or through the AWS Management Console. Airbnb uses Multi-Availability Zone (Multi-AZ) deployments to further automate its database replication and augment data durability. Bandai Namco Studios Inc. began as an independent offshoot of Bandai Namco Games Inc. in Japan. The company develops arcade games, platform-specific software, and social and mobile games. The company decided that using AWS services including Amazon RDS MySQL would provide better performance, lower costs, better security, and greater availability. 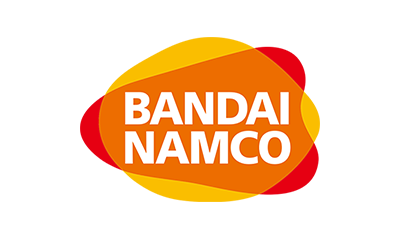 In particular, Bandai Namco saw the potential benefit in terms of reductions in overhead, especially when it came to adding, modifying, and removing server resources. Flipboard is one of the world's first social magazines. Inspired by the beauty and ease of print media, the company’s mission is to fundamentally improve how people discover, view, and share content across their social networks. "One key decision we made early on was to use MySQL, and in turn, RDS. Auto minor version upgrade, automatic backups, easy restores, and the ability to spin up read replicas to add capacity made it a no brainer for us. It allowed us to focus a little less on MySQL administration and a little more scaling out the rest of our service." Classle is a cloud-based social learning platform that allows students to connect with other students as well as experts and professionals from academic, research institutes and industry. Amazon RDS acts as Classle’s data warehouse and transactional database. "The flexibility, reliability, and elasticity were the reasons for the initial decision to use AWS. Over the past two years, other services coming from AWS like Amazon RDS confirm that the decision was the right one." Automobili Lamborghini S.p.A is an Italian manufacturer of luxury sports cars headquartered in Sant'Agata Bolognese, Italy. Lamborghini's website was hosted on an outdated infrastructure at the end of its lifecycle, which was preventing the company from supporting new online initiatives, as well as the increasing number of visitors to the website. Lamborghini wanted to be online with an updated website in a very short time. Lamborghini took advantage of the AWS self-service approach to quickly design and implement a new architecture that could scale up or down to meet workload demands. Lamborghini’s new architecture utilizes MySQL and Microsoft SQL Server databases on Amazon Relational Database Service (Amazon RDS), in addition to an array of AWS services. Ziff Davis, Inc. is a leading all-digital media company specializing in web properties in the technology, gaming, and men’s lifestyle categories. Ziff Davis runs MySQL databases on Amazon RDS and relies on Amazon S3 for web services and for asynchronous aggregation and storage of data. "Our network has grown exponentially in the last two years and the volume of data has doubled since March, 2013." Amazon RDS is free to try. Pay only for what you use. There is no minimum fee. Get started with Amazon RDS for MySQL in the AWS Console.